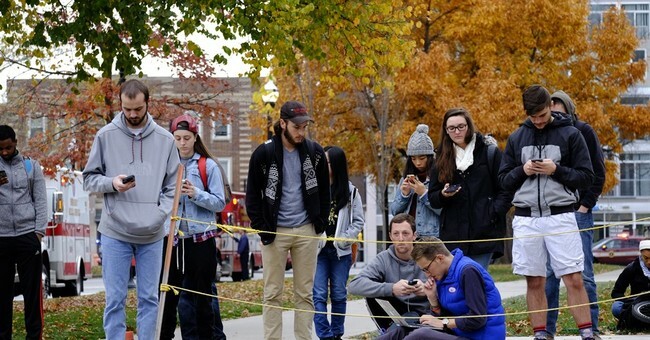 Earlier today, the Ohio State University was under lock down after a student, identified as Abdul Razak Ali Artan, drove a car through a group of students and the began attacking people with a knife. Eleven people were taken to the hospital, but all are expected to recover. The rampage was ended shortly after it began when Artan was shot and killed by a police officer. Now, we know the identity of this hero officer: his name is Alan Horujko, and he likely saved dozens of lives today. Horujko is a graduate of Ohio State, and he joined the OSUPD in January of 2015. He's 28 years old. Horujko saw Artan's car plow into the crowd of students, and minutes later shot him dead, putting a swift end to any potential massacre. Many people took to Twitter to thank Officer Horujko for his bravery.